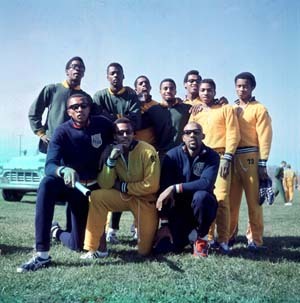 Fifty years ago, a unique group of young men coached by a motivational mentor captured something they didn’t even realize was special at the time. On Nov. 26, 1962, this collection of speedy Spartans became the first integrated team to win the Division I (then called the University Division) title. As incredible as it was then, the feat may be even more remarkable upon reflection, given the racially charged atmosphere amid a civil rights movement that was dividing the country. Seventy runners had breezed by head coach Dean Miller at the mile marker without a Spartan among them.